Meet the hairstyles you can actually wear in real life. 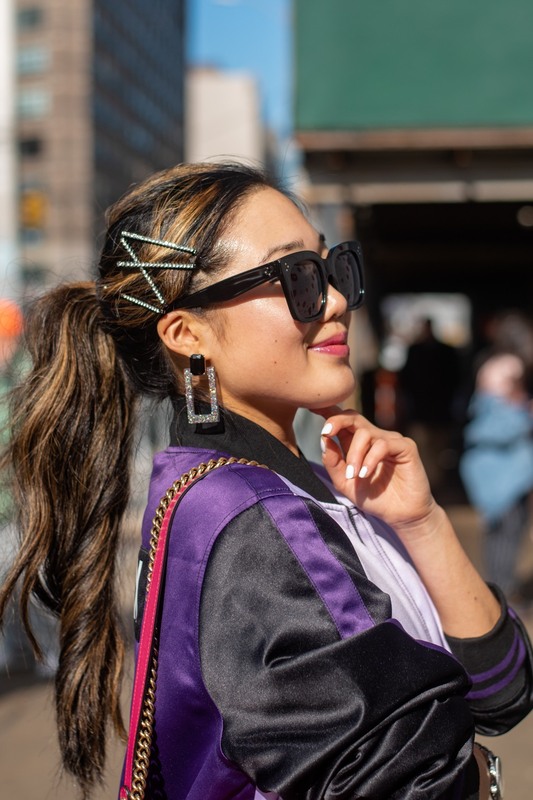 We know what you’re thinking: ‘not another NYFW street style round-up of hairstyles you can’t do’. When you’re always pushed for time, the last thing you need is a hairstyle that requires a glam squad. 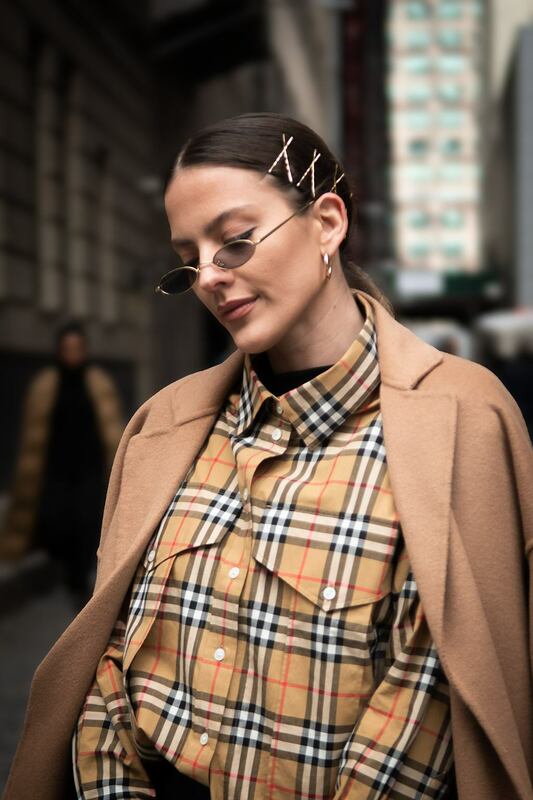 So, we’ve decided to dedicate this street style edit to the simple and chic hairstyles our team would honestly wear in real life (be it for work or play). 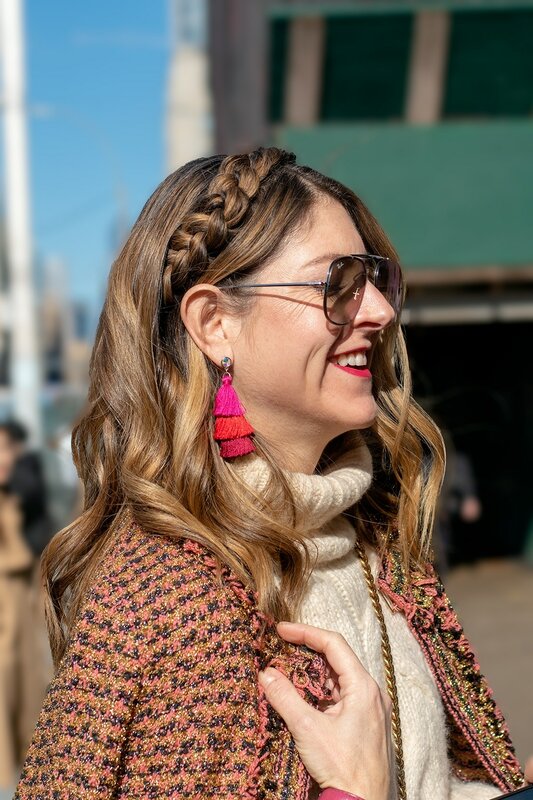 From easy updos to soft waves, here are 10 easy hairstyles we spotted the real women of New York wearing. The secret to this look? Flexible hairspray. 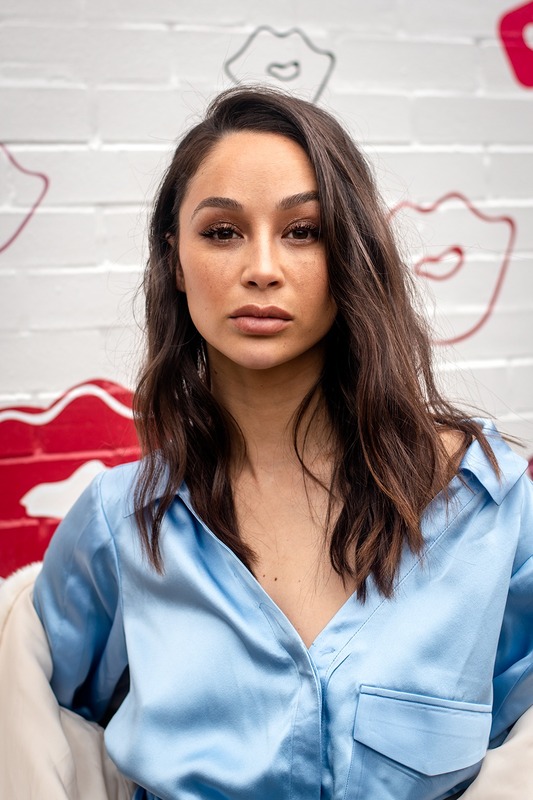 If beachy waves aren’t the easiest hairstyle for you to achieve in the mornings, these parred back soft ones are your next best option. The rules? Curl your mane (with your heated styling weapon of choice!) in random directions to get that soft, wavy effect. Then, spray a flexible hold hairspray towards your roots to give your waves extra volume and body. Editor’s tip: The hairspray we can’t get out our manes? The VO5 Flexible Hold Hairspray. It doesn’t leave your hair stiff or sticky like other hairsprays, and will do a great job of helping you create and finish your look. It’s time to start looking for your lost bobby pins. Whether you’ve got a bob haircut or not, everyone’s invited to the sleek hair party. And, with the right heat protect spray, you can get a polished look without worrying about heat damage. Recommended: How to get super sleek strands. The best thing about polished hairstyles? When the weekends roll around, you can give them a quick update with bobby pins. Stacks on stacks of hair slides make the perfect night out look. As you can tell, the real women of New York are loving hair accessories. For a night out, you can channel those laidback-meets-luxe vibes with some glitzy hair slides. Bonus points for wearing them with a wavy ponytail! Editor’s tip: Struggling to create voluminous hairstyles, like this one, with your fine strands? 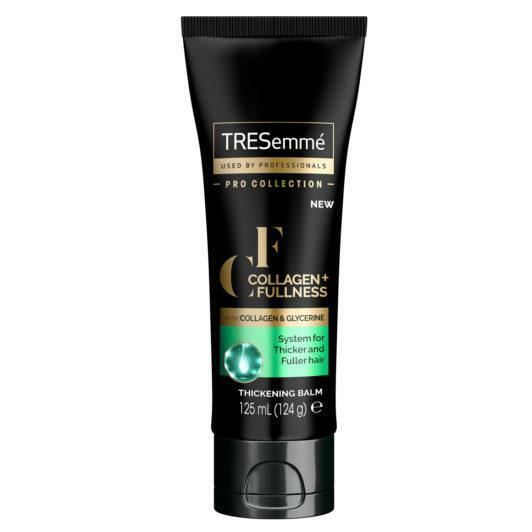 If you’re looking for a product to give your hair bounce, you should try the TRESemmé Collagen+ Fullness Thickening Balm. Apply a small amount of it into your damp hair before blow drying to plump your strands and get lifted look. Our resident naturalistas are hailing this protective hairstyle as one to watch. Searching for an alternative to box braids? 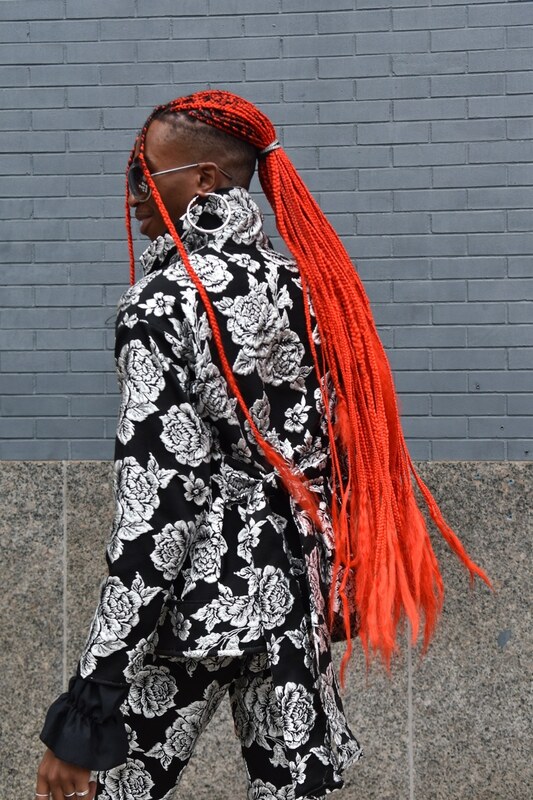 Look no further, as this New Yorker will seriously make you consider getting faux dreadlocks. They’re beautiful to look at, easy to style and great for those of you who want a protective, low-maintenance ‘do. Present that client meeting with confidence with this neat ‘do under your belt. Confidently strut into work or your next interview with this put-together, elegant low bun. Did we mention this also makes a great bridal or wedding guest hairstyle? Add a little something-something to your fave ballerina bun. Who doesn’t love a ‘do with a bit of a secret? 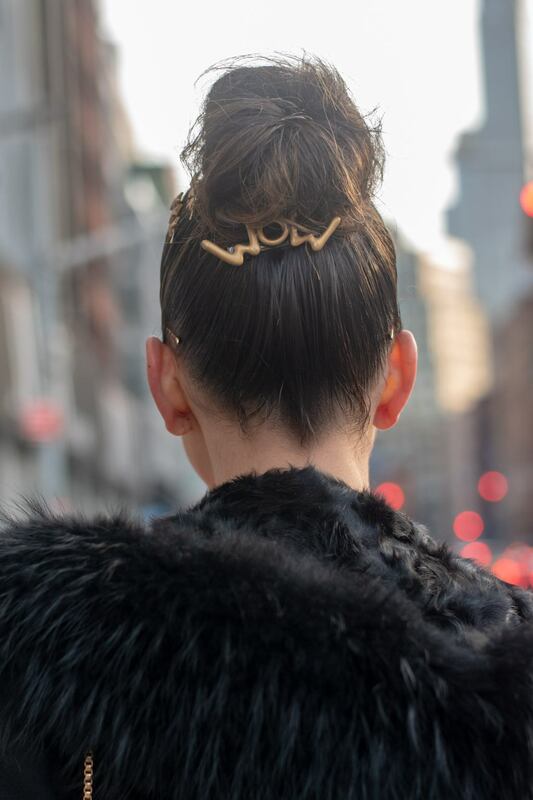 Give a neat ballerina bun a grown-up edge with a statement hair slide, like this New Yorker has done. Business at the front, party at the back, right? Editor’s tip: Want to keep flyaways at bay? We suggest keeping the VO5 Flyaway Touch-Up Wand in your handbag or at your desk for mane emergencies. Why wear a headband when you create one out of your own hair? You don’t always need hair accessories to add a fresh twist to your favourite hairstyle. In fact, you can give any ‘do some extra dimension with braids. And, guess what? A headband braid is a great place to start. 2019 is all about adding fringes to curly manes. We’re all about hair that speaks volumes (hence why we had to include this beauty’s mane in our edit! ), so if you’ve got natural coils, we suggest you amp up your curl game by investing in curl defining products. 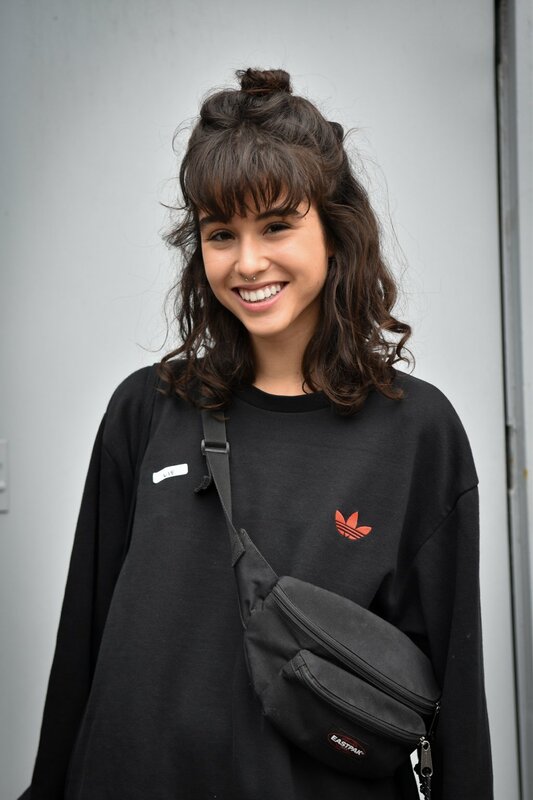 We’ll let you decide whether you should get curly bangs, but if you do, don’t be surprised at how much you adore them. Recommended: Your guide to hair plopping, the technique behind bouncy curls. Playing with your parting is a quick way to update your ‘do. One of the simplest ways to change up your hairstyle is to switch your parting. Part your hair in the middle and leave out a few wisps at the front, to make this sharp look soft. The ‘90s fashion appreciation continues, complete with velvet scrunchies and ponytails so high that Baby Spice would be proud. Adding in a baby braid will make your ‘do feel fresh again. Celebrating natural textures, in particular curls, is only becoming more and more popular and this bob and fringe combination cuts an on-trend figure. Recommended: 6 ways to rock natural hair bangs. Marry pretty embellishment with intricate braids (this fishtail halo updo is perfect) for a gorgeously feminine spring/summer look. 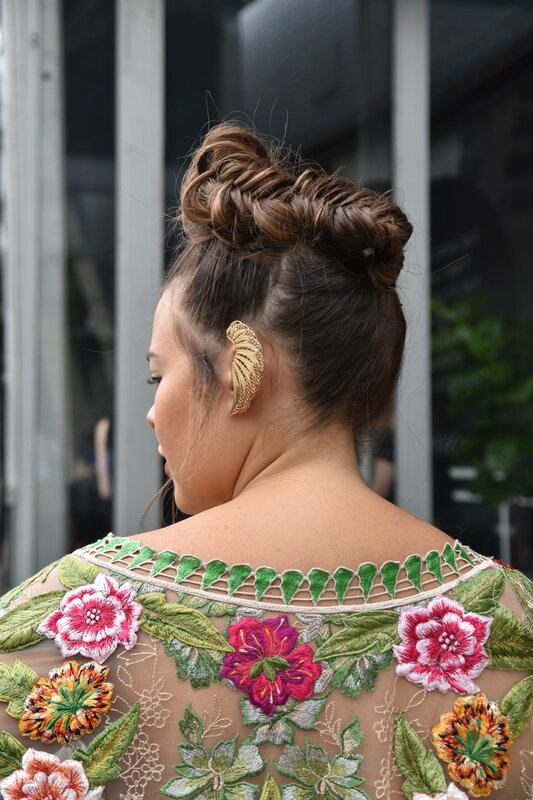 Take style notes from this attendee and team your ethereal ‘do with a floral outfit. Editor’s tip: If you find braids tricky, we’d recommend trying out the TONI&GUY Flexible Hold Braid Balm. 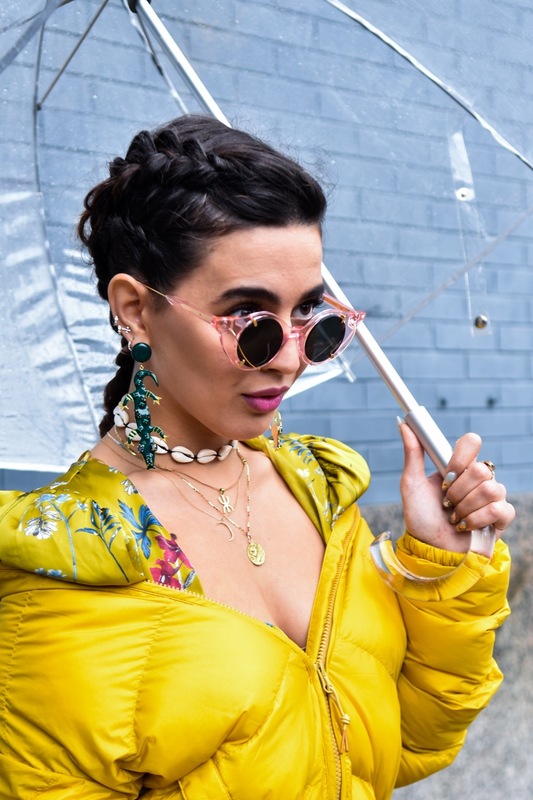 Applying a small amount to your hair (either wet or dry) before styling helps to give hair more texture and structure, while giving your braid extra hold. Think of it as your braiding BFF. 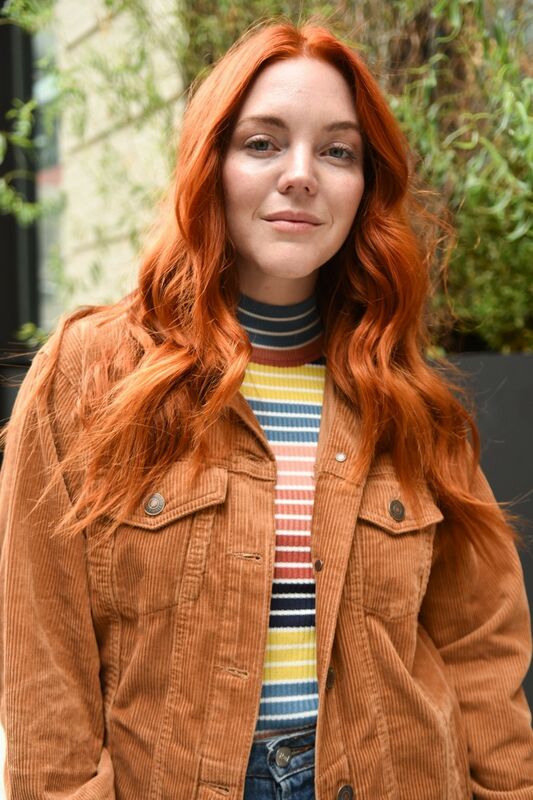 There’s never been a better time to be a redhead – whether that’s naturally or with the help of your colourist. The more vibrant the better! A bit of bad weather never hurt anybody, especially when you’ve got a hairstyle that can handle anything. Besides, if these fierce cornrows can withstand the New York rain, they’ll be more than capable of handling your next gym sesh. Considering changing up your colour for the new season? Make it balayage. Fast surpassing traditional highlights as the colouring technique of choice thanks to its low-maintenance appeal, it’s a look that’ll transcend seasons. 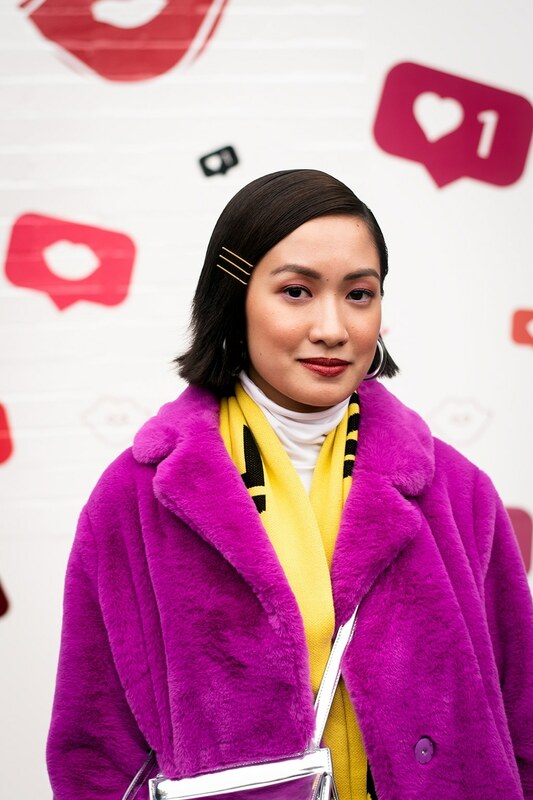 Bobs continue to dominate in terms of length but in keeping with the new season, we spotted a number of short haired street stylers experimenting with colour, from rainbow lights to this deep violet wash. 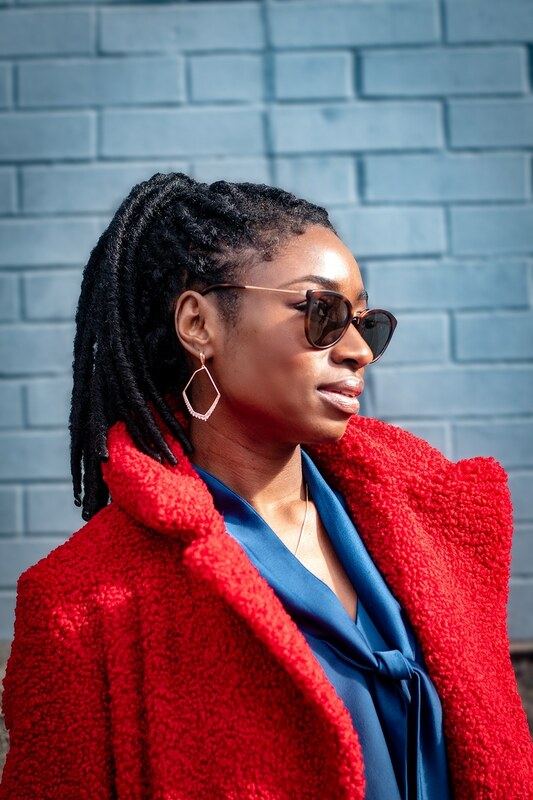 Box braids devotees, if you’ve always wanted to try a more out there colour but haven’t ever been able to push yourself to take the plunge – this is the sign you’ve been waiting for. Recommended: 24 fresh ways to rock coloured braids. A fringe adds an extra texture to the already casual half-up bun style, making it look even more effortless. The question is: which bangs style will you pick for the season ahead? Do blondes really have more fun? 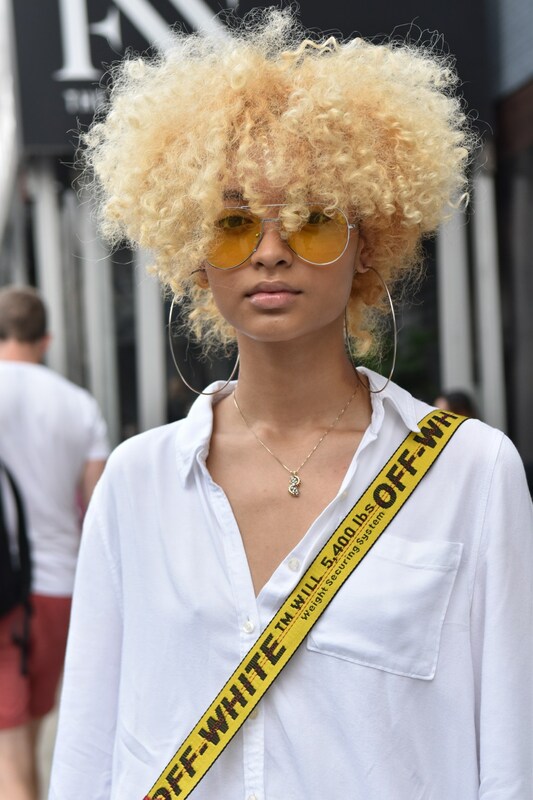 You’ll never know unless you try, and looking at these 9 lush blonde afro looks will seriously make you want to take the plunge. Read on to see the looks we’ve loved from last year, below. Our recent hat appreciation doesn’t look set to waver. But this time around we’ll be putting the baker boy hats and berets back in the wardrobe for something a bit more casual – a baseball cap. The androgynous, easy-to-wear accessory can be donned by anyone (man or woman, young or mature), making it a no-brainer accessory. 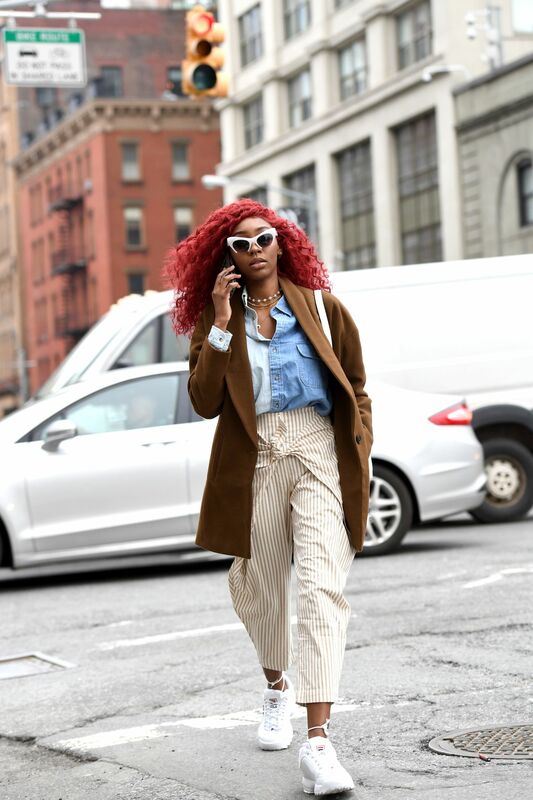 To ensure you err on the side of chic rather than soccer mom, try mixing and matching your colours with the rest of the tones in your outfit, like this blonde street styler’s true blue look. We don’t need to be told again that this is the year to embrace texture, but if your natural style alone isn’t setting your soul on fire, it’s time to call on colour. 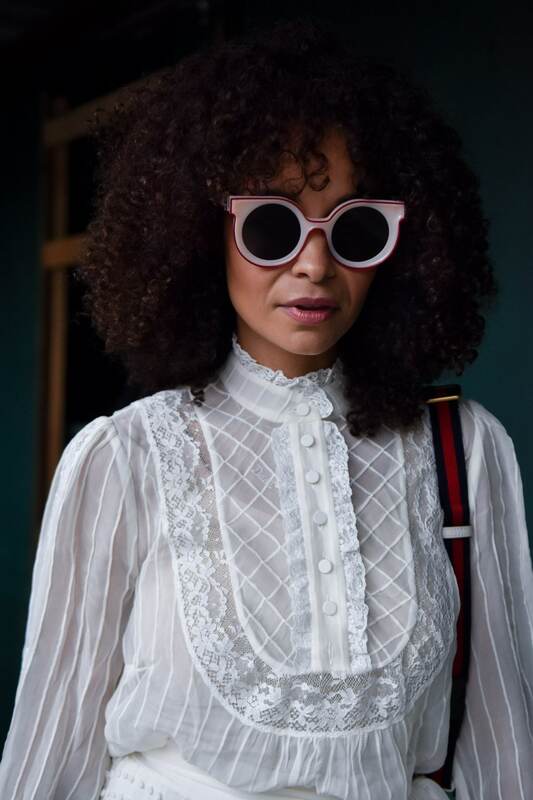 This curly-locked beauty has gone for a firetruck red hue that is exactly what we need to pull ourselves out of that grey winter slump, offsetting her muted neutral outfit like a dream. Last season may have been all about the Bardot bangs, but if the streetstylers are to be believed, it looks like the ’60s will be coming back in a new way for autumn. Big, swept-back hair (think Jackie Kennedy and, more recently, Lana Del Rey) has always been popular on the red carpet circuit, but we’re totally up for it becoming an everyday thing. Headbands have never really gone away. They’ve been a staple of school girls and gym-goers forever, and we don’t know what we’ve do without them. They’re practical, easy to throw on and they’ll make people think you’re super sporty, even if you haven’t set foot in a gym for months. We’re not seeing any cons here. And now that Gucci and the like are getting on board with the look, we predict high street dupes will start to appear any day now – good news for us trying to live that champagne lifestyle on a lemonade budget! So this last one’s not so much a hair ‘style’ as such – in fact, it’s more of a hack. Instead of pulling your hair out of your coat or roll neck after you’ve put it on, just leave it tucked. This well-known model tip looks ridiculously chic and means you can live out those bob dreams, even if it is only for a couple of hours. And if anyone tells you your hair is tucked into your top, just tell them it’s fashion. Editor’s tip: Coats and knitwear can make for a static situation, so keep this style looking sleek by running a oil, like the Dove Advanced Hair Series Shine Revived Treatment, through your mane. 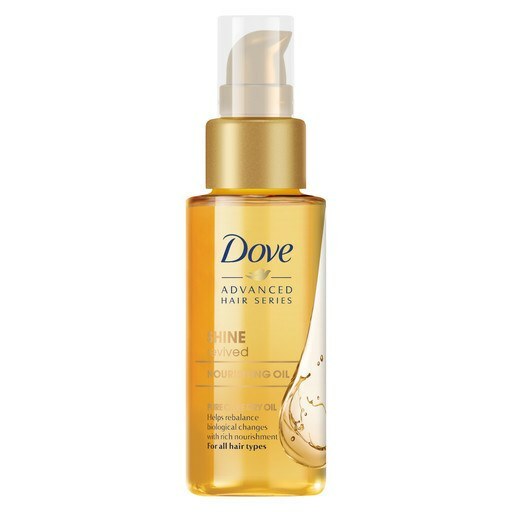 This will help protect you against any weather-related hair dramas, while also adding shine! So even if everyone else’s hair is wind ravaged, you’ll look perfectly put together.